When Will the Record Corporate “Debt Binge” Collapse? After a historic “debt binge,” leverage levels among the 2,200 largest US corporations, excluding financial institutions, have reached “record highs,” Standard and Poor’s warns. It blamed the Fed-fueled “excessive liquidity and low borrowing costs in the capital markets,” along with declining profits. S&P Global Ratings sees a clear cause for concern as aggregate debt levels and leverage components that we use to help determine the financial profile of rated companies now exceeds that which we saw just prior to the most recent economic and financial crisis. The report measures leverage as the ratio of median debt to EBITDA (Earnings before Interest, Taxes, Depreciation, and Amortization, a measure of operating cash flow). And that ratio hit the highest level in 10 years. Junk-rated companies are the most at risk. The credit cycle may have peaked. New financing may become more expensive and harder to come by. And refinancing existing debt may be impossible to do. But these companies’ existence depends on being able to get new financing and to roll over existing debt at super-low interest rates. If they can’t, they’re heading into debt restructuring or bankruptcy – as many have already started to do. “With the level of leverage that we’re seeing, some of these more-peripheral stressed sectors are going to experience some challenges to obtain new financing as well as refinancing,” S&P analysts David Tesher told Bloomberg. “It’s not a question of if, it’s a question of when,” he said. For investors, that translates into potentially big losses in a downturn, which bondholders caught up in the current surge of defaults are already experiencing. And yet, thanks to the Fed-engineered low-yield environment, they’re not being sufficiently compensated for taking these risks. But what the heck. What matters is today. And today, companies are piling on debt in order to “purchase revenue streams,” as S&P put it. Hence, the record-breaking Merger & Acquisition binge in 2015, including the largest debt-funded buyouts ever. Organic revenue growth moves the overall economy forward. But purchasing revenue growth via M&A and then laying off part of the workers to chase after the promised “efficiencies” is a net negative for the economy. And they’re doing it with borrowed money [read… “Shockingly, Boards of Directors Encourage this”: Gallup CEO]. What else have corporations done with this borrowed moolah? Buying back their own shares. Over the 12 month through June, $157 billion of buybacks were funded with debt, according to data by JPMorgan and Bloomberg. In June, the proportion of share buybacks funded with debt jumped to over 30% – the highest since 2001, the propitious year when the dotcom bubble imploded. $110 billion went into dividend payments. $137 billion was blown on financially engineering their earnings via share buybacks. So operating cash flows were $35 billion short. That happened quarter after quarter. Hence debt ballooned to 32% of total assets at non-financial firms, the highest since 2008, another propitious year. Since peaking in February 2015, an S&P 500 index of companies repurchasing the most shares has lost 5.6%, compared with a 1.4% gain in the equal-weight index of the benchmark gauge. So it doesn’t work anymore. Investors have lost part of their appetite for being fooled. When rates rise and higher borrowing costs make debt to fund share buybacks more expensive, these already over-indebted companies are likely to cut back. Dividends tend to be sacred for a while, before the company slashes them. But buybacks can be stopped without notice. “Buybacks have supported equity prices a lot in this cycle,” Dubravko Lakos-Bujas, an equity strategist with JPMorgan, told Bloomberg. But when rates begin to rise, share buybacks are going to decline, and that creates “additional headwinds” for stocks. It’s already happening: total announced share repurchases fell 18% so far in 2016 from the three-year-average pace. But the “debt binge” that S&P frets about in its report isn’t over yet. Over the first six days in August, normally part of the sleepy summer months in the credit markets, companies issued a $70 billion of bonds, a blistering pace. “There has never been an August like this in the history of finance, and it isn’t close,” explained Brian Reynolds, chief market strategist at New Albion Partners, which compiled the data. The chase for yield, after nearly shutting down earlier this year, has kicked into high gear again, with investors closing their eyes to risks and gobbling up bonds. Their appetite has pushed down yields and compressed yield spreads between corporate and government debt. So to heck with revenues that have been declining since 2014, and earnings, however well engineered, that have been declining for nearly as long, and record debts piling up on these companies, or the soaring risks of defaults, the warnings from S&P and other ratings agencies, or the actual defaults and bankruptcies. Nothing matters anymore – other than the blind confidence that central banks have investors’ back. Enormous monetary inflation has already taken place, by the creation of money through the issuance of debt. So far this has only affected asset prices. Strongly rising food prices are viewed as disastrous, while rising markets and house prices are celebrated. Both indicate a decline in purchasing power, which strengthens the inflationary trend. Countering this trend is debt repayment. When debts can’t be repaid, then money vanishes. These two economic forces have about the same momentum at the moment, until they don’t. It remains to be seen which of these forces overcomes the other. Hyperinflation is always a monetary event, preceded by a loss of confidence, with the consequent collapse of the currency involved. Look for a sharp deflationary spiral, followed by, or in conjunction with, a quick paced upward price inflation, that morphs into a loss of confidence in the currency and hyperinflation. ALL DEBT WILL BE PAID. Either with dollars worth pennies, or with pennies worth dollars. Currencies around the world priced in gold or silver, are at near highs or record highs. Yet the US dollar (DXY) has increased from it’s low of .74 to near the 1.00 present high, even as gold and silver both enjoy a renewed bull market. This says that the safe haven status of gold and silver are preferred over holding wealth in paper assets and fiat currencies. The last to go down the chute is the US dollar. This occurrence will portend the end of the current global monetary regime and the beginning of the big reset. I’m just saying Trump, Hillary, The Fed, its all smoke and mirrors…The highest priced commodity in the world is blood and that price discovery takes place on the battle field…These guys havent needed money since the death of Christ, it’s all about blood and power, not money…You think someone with 30 billion cares in he loses 5 billion if that gets him control of a nation?….Wake up!….If for a second the world elite (usury loving) scumbag loansharks smell that the West might lose the upper hand in the ME and Ukraine (same war), then the deflationary might get skipped and we go straight to Zimbabwe (lira, yen (inverse) Loonie, Rand, yuan, pound, you pick…. Debt is either paid off or defaulted. The level of global debts and especially US national debt of $19 trillion where each living person in US is on the hook for $43k and growing. IMHO – there is no way in hell $19 trillion can ever be paid off and US won’t default but either confiscate from our banking accts or print USD like crazy shafting the bond holders but we know that won’t happen as that will screw the banksters. I am sure next year this time, there will be a similar article. Can’t completely collapse the economy until you’ve entirely gutted the corporations. When it hits, the S&P 500 corporations will have zero net equity. My opinion is that the low rates will continue until after the election at least. a crash would be inconvenient for the banksters and their crooked friends supporting the hildebeast. There is always an election around the corner in the West (e.g. another 5 or 6 in Europe this year), just to keep the illusion that the public can chose and make a difference. So the low rates will continue forever, as central banks no longer operate in isolation (and BOE/BOJ/ECB etc. are just an extension of the FED / Goldman Sachs anyway). There is no way they can go back to anything resembling sane rates without causing the biggest crash by far in history (especially in real estate, which would be a disaster for a majority of the voters in many countries). These buybacks will continue as long as the Fed keeps interest rates at historical lows. Oh yes, must keep the asset bubble going, mustn’t they. i just read over at safehaven yesterday that this will NEVER happen and negative rates along with more QE is on the way…..and the stock market is going to the moon. ZIRP/NIRP into infinity … that seems to be the plan, and maybe the big multinational corporations got a silent nod from the Masters of the Universe. The ECB and other central banks will keep buying their debt into infinity, before you know it proceeds from debt issuance will be the biggest money maker for every multinational corporation – even those that are really bankrupt when viewed from more conventional financial point of view. Get some assets while you can, the price doesn’t matter because all currencies will go to zero pretty soon ;-( This will only stop when the citizens of the world revolt, but the bankers and politicians are wise enough to leave some spoils for the sheeple at least until their Brave New World is completed and resistance is no longer an option. How can you ever ‘default’ when GAAP have been abolished, “money” is free and you can obtain more credit (“rollovers”) whenever wanted? The ultimate consequence to a system artificially prevented from resetting itself can only be PRICE INFLATION. I agree with you but hyperinflation won’t happen until central banks start unsterilized money printing. For now there is still reasonable amount of government and corporate debt that they can buy up, and in this regard FED owning I think about 30% of total treasuries is in a better position than others. What happens when central banks own almost all of the debt? ECB is already having problems and has had to expand its QE program. Will they continue with unsterilized money printing? They will give this money to the governments which will squander it but the exact course taken will determine what ensues. The ECB isn’t having any problems because they make up the rules on the go. Just today their thinktank mentioned more QE AND lower rates are on the way and I don’t doubt that politicians will use the opportunity to hand out more free stuff to their favorite corporations (those with the plush after-politics jobs) and the voters. Real inflation is already quite significant (like 5-10%) and with free-stuff-for-life for all the new migrants, those on social security, everyone who buys a home or a car etc. etc. it will be quite easy to move from ‘benign’ inflation to hyperinflation within a few years, just like in the Weimar Republic. 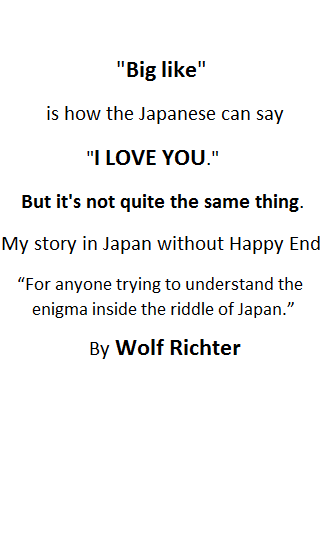 thanks, Mr. Richter, for another eye-opening article. I wonder what Mr. S. B. Lewis would advise today. Then (in the Q&A, now absent on-line), he said ‘corporate bonds, best balance sheet’ or words to that effect. There appears to be no place to run, nowhere to hide. Canned goods and shotgun ammunition? Money is not the problem. There will always be plenty of that, keystrokes stuff. The problem is resources. Lack of sufficient resources to fund us and our exceptionally complex society will tank it. No matter how much money is “printed” it’s worthless without resources. Without that there won’t even be keystrokes. When nothing matters anymore, out go concepts like market discipline, price discovery, market pricing of risk and the perception of (financial and monetary) value. When you say ‘bonds’, are you including preferred stocks as well? There are some hybrid bonds that can convert to equity. I’m getting nervous if even a 100% political entity like S&P starts writing about it (their ratings depend more on how much Washington likes a country or company than on real financials), discouraging the general public to participate in this epic buying binge with free money. Normally these institutions encourage the public to buy at the top. Is the plan that the central banks and big multinationals buy up the whole planet and as soon as they own everything let the financial system explode? the game they’re trying to play is to migrate the created debt “upwards” to the Bank of Nova Scotia (a very old bank that has acted as a sort of central bank of central banks) and the Royal Bank of Canada, so that it creates a situation where the Government cannot legitimately replenish the coffers (even with tax money), thereby causing a “cold call” of essentially the world’s riches. Both banks are incorporated in Nova Scotia and there are provisions in the legislation, presumably dating back to the days of Acadia, that allow the banks to interface with Government initiatives. this was the entire vision of these banks after The Iron Duke and Lord Nelson established us as number one: public, well-moneyed, mercantilist banks, that could support “The people” sufficiently, and only when necessary. it’s quite clever and devious, and has been a two century goal by individuals that are often associated with conspiracy theories. it has failed (due to reasons you are not yet aware), but we are in the “scramble phase”. there will be no call on assets on BNS or RBC, thereby creating a situation where all of the current debt must be scaled down, as its current value cannot be “made whole” without running these two banks. Maybe I missed it, was there a link to Wolf’s article about recovery rates? The recovery rates will simply get lower with more issuance. So the problems are already happening, and will get worse, with the hyper-issuance.